This year’s Black History Month was a huge success; students were given the opportunity to get involved with interactive activities, events, discussions and guest speakers throughout the month. Sanitary products are considerably cheaper and after five months of battling with the University, Knights Park now has an extra microwave. Carey played a huge role in planning events for Black History Month. KU hosted more events for this month than any other university in the UK. 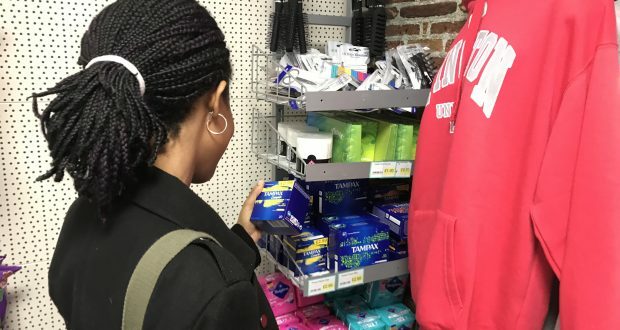 Campus shops now stock cheaper varieties of sanitary products after pressure from our student officers. A cheaper brand has been introduced, stocking Maxi and Ultra pads for just 89p. A student led union magazine is also coming soon to KU. It has already been sent to print. Penrhyn Road officer, Daisy Du Toit, said: “It will be a place for all students to contribute and get involved from all four campuses.